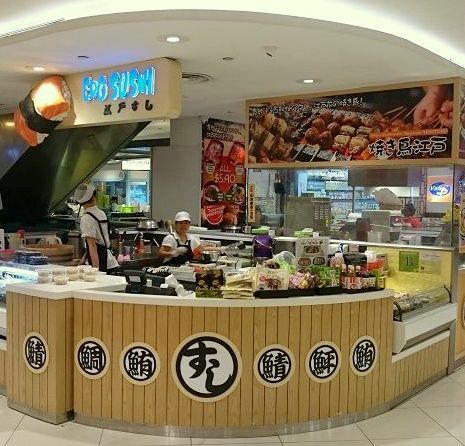 Edo Sushi Japanese restaurant operates within Singapore’s Lot One Shoppers’ Mall, at 21 Choa Chu Kang Ave 4. The restaurant has a menu featuring delicious sushi dishes and other highlights from Japanese cuisine. In addition to classic sushi flavours, Edo Sushi also has innovative varieties such as Crunchy Wasabi Roll, western influenced Buffalo Chicken Tempura Roll, Mango Tango Roll, Blazing Sriracha Roll and many others. The six-storey Lot One Shoppers’ Mall has a great location in the heart of the Choa Chu Kang housing estate, in the north- western region of Singapore. You can easily get to the shopping centre from everywhere in Singapore, as it is well connected by major arterial roads and next to the Choa Chu Kang MRT and light rail transit (LRT) stations.